Seeking medical attention from an urgent care center is a helpful solution when illness or injury strikes during an inopportune time. 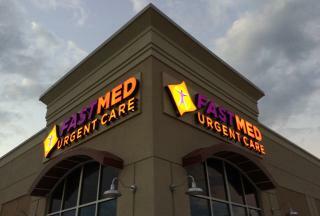 FastMed is an affordable, modern, and friendly urgent care center that’s available when you are. Our facilities are located in the heart of communities throughout Arizona and North Carolina, We are committed to providing the highest quality of individualized care, regardless of the day or time. FastMed Urgent Care: Your Questions, Answered. Why should you choose FastMed as your preferred urgent care center? FastMed is convenient for even the busiest of schedules. We offer extended business hours and remain open 365 days a year, including weekends and holidays. We accept most major insurance carriers, in addition to major credit cards and personal checks. The FastMed discount program is available for qualifying patients without insurance coverage. No appointment is necessary, but you can check-in online to potentially reduce your wait time. Most non-life-threatening conditions can be treated by a FastMed medical professional. What medical services are available at FastMed Urgent Care? You can’t always predict when you’ll need medical care, but by choosing FastMed, you know you’ll always be in good hands. Our affordable services are available right when you need them, day or night. The team of medical professionals at FastMed will work tirelessly to ensure you get in and out and back to health quickly and conveniently.